If you come across a particular request in your inbox that you are not interested in, for whatever reason, you can simply dismiss it. 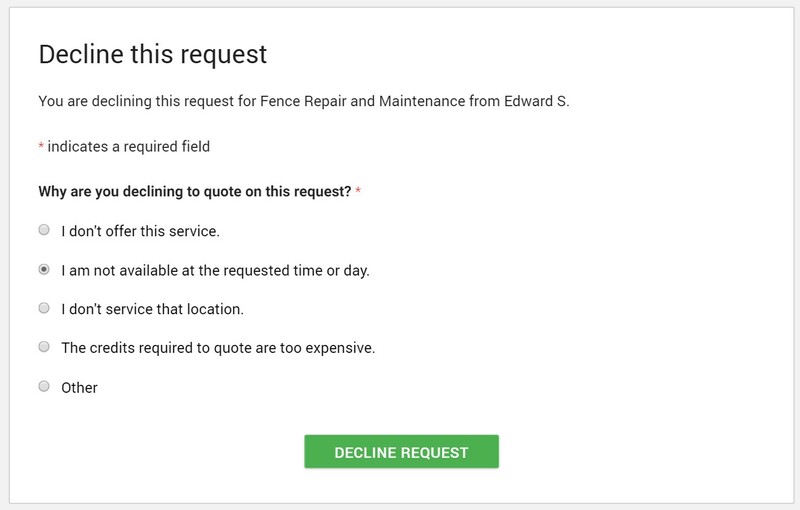 To decline a request, click the dismiss button at the bottom of the email we send you containing the request, or click on "pass" next to the request in your Bidvine inbox. After you have declined your request we'll ask you to provide feedback so we can better cater requests we send you in the future. Please note: after you have decided to decline a request, this action cannot be undone.